Eben Alexander, III, M.D., F.A.C.S., Best-selling author of Proof of Heaven: A Neurosurgeon’s Journey into the Afterlife, Eben Alexander III, MD, FACS spent over 25 years as an academic neurosurgeon, including 15 years at the Brigham & Women's Hospital, the Children’s Hospital and Harvard Medical School. In 2008, his own remarkable near-death experience radically transformed his understanding of consciousness and the brain. Dr. Alexander co-founded the nonprofit Eternea to share this information, to further the research on science and spirituality and the nature of consciousness, and to encourage people to bring unconditional love into daily life. He currently serves as Eternea's Chief Science Officer. Gary E. Schwartz, Ph.D., is Professor of Psychology, Medicine, Neurology, Psychiatry, and Surgery at the University of Arizona, Tucson. He is also Director of the Laboratory for Advances in Consciousness and Health. In 2002, he created a Center for Frontier Medicine in Biofield Science at the University of Arizona, which he directed for four years. He continues to collaborate on biofield science and energy healing research, serving as Corporate Director of Development of Energy Healing at Canyon Ranch. Prior to coming to Arizona in 1988, Gary taught at Harvard, then at Yale, where he was director of the Yale Psychophysiology Center and co-director of the Yale Behavioral Medicine Clinic. He received his Ph.D. in psychology from Harvard University in 1971. Research Interests: Consciousness studies, cosmology, zero point energy, quantum holography, sustainability. Lunar Module Pilot Apollo 14 lunar mission, January 31-February 9, 1971; became sixth man to walk on the moon. Dr. Moody is the leading authority on the near-death experience -- a phrase he coined in the late seventies. Dr. Moody is a best selling author of 11 books including Life After Life -- which has sold over 13 million copies world wide -- and Reunions, a bestseller, as well as numerous articles in academic and professional literature. Dr. Moody conducts many different lecture/workshop presentations on the topics of: Near Death Experiences, Death with Dignity, Life After Loss, Surviving Grief and Finding Hope, Reunions- Visionary Encounters with Departed Loved Ones. The Healing Power of Humor, Catastrophic tragedies & events causing collective grief responses, The Loss of Children, The Logic of Nonsense, and many more.He also trains Hospice workers, clergy, psychologist, nurses, doctors and other medical professional in all aspects of his work. Dr. Moody also works as a practitioner of philosophic counseling. He consults on a private individual basis in person, by phone, or at the bedside of the dying. Dr. Kenneth Ring is Professor Emeritus of Psychology at the University of Connecticut. He is the co-founder and past President of The International Association of Near-Death Studies (IANDS), and the author of five books on the subject of near-death experiences, including Heading Toward Omega and Lessons from the Light. He has also lectured internationally for many years on NDEs and other similar topics and has appeared on many radio and television programs in connection with his work. Genie T. Palmer earned her Ph.D. in transpersonal psychology from the Institute of Transpersonal Psychology (ITP) in 1999 (known as Sofia University as of July 1, 2012). As an Executive Core Faculty member at the university, she serves as Director of the Writing & Research Center, which houses a Writing Lab, and as Dissertation Director for Residential and Global Ph.D. Programs. She supports the dissertation process by teaching and by assisting students with both the inner and outer work of completing their dissertation process. Dr. Palmer teaches courses related to dissertation preparation, advanced research methods, and models of psychospiritual growth and development. Her research and writing emphasis is on exceptional human experiences (EHEs), particularly their disclosure aspects and work and life impacts. As a transpersonal practitioner, she works with individuals and groups using a process of spiritual guidance to foster spiritual growth and development, and of coaching to facilitate assimilation and integration of varieties of spiritual and transpersonal experiences, such as mystical experiences, dreams, and meaningful coincidences. Dr. Jeffrey Long is a radiation oncologist and author of the New York Times bestseller Evidence of the Afterlife: The Science of Near-Death Experiences. A leading near-death experience (NDE) researcher, in 1998 he established the nonprofit Near-Death Experience Research Foundation. He also founded the NDERF, ADCRF and OBERF websites devoted to the study of near-death experience, after-death communication, and out-of-body experience respectively. These websites contain the full text of thousands of personally reported narratives. His work has led to increasing awareness that worldwide and across cultural boundaries, people all share these types of experiences, and that they are similar to a degree that is medically inexplicable. Long has appeared on NBC's Today Show, ABC's World News Tonight with Peter Jennings, FOX's The O'Reilly Factor, and The Learning Channel. He has also been interviewed on the Art Bell radio show and on Coast to Coast radio with George Noory over a dozen times. Dr. Neal Grossman has recently retired after 40 years of teaching Philosophy at the University of Illinois at Chicago. He earned his B.S. from MIT and his MA and PhD in the History and Philosophy of Science from Indiana University. Before beginning his teaching career, he served in the Peace Corps. His areas of inquiry are wide ranging, including the philosophy of quantum mechanics Spinoza, Plato, mysticism, and survival research. 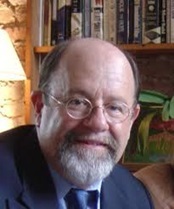 He is on the Board of Directors of the Chicago Chapter of the International Association for Near-Death Studies and has published the book, Healing the Mind: the Philosophy of Spinoza Adapted for a New Age, as well as numerous articles on questions of consciousness, near-death experiences, life after death, ESP, and related topics. Dr. Pam Kircher is a childhood Near-Death Experiencer. Her deep awareness of universal love and interconnectedness led her to study at Baylor College of Medicine (1975-1979) and become a Family Doctor with an emphasis on mind, body, spirit medicine. From 1990-1994 she worked at the Hospice at the Texas Medical Center in Houston where she introduced an open awareness and discussion of NDEs and Nearing Death Awareness in the final stages of life. In 1994 she moved to Durango, CO where she subsequently helped develop the “Touch, Love, and Compassion” and the “Steps to Surgical Success” programs which led to establishing an Integrative Care Department at Mercy Medical Center. In these programs, patients are offered free-of-charge energy work, aromatherapy, music therapy, and guided meditation. For over twenty year, Dr. Kircher has given presentations nationally and internationally on NDEs, end-of-life issues, and integrative medicine. Her book, Love is the Link: A Hospice Doctor Shares her Experience of Near-Death and Dying, was published in 1995. And, for the past decade, she has been a Master Trainer in Dr. Paul Lam’s modified Tai Chi for Health programs for older adults and people with chronic conditions.